Every so often a film comes along that reassures your faith in cinema. If doesn’t have to be a huge blockbuster or even the most acclaimed art house film, it can be a little film that entertains and captures your attention without letting go. 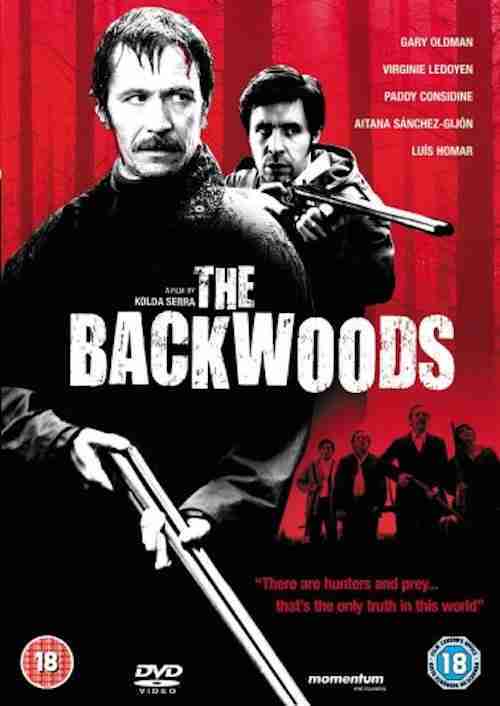 Koldo Serra’s film The Backwoods is one such film. A Spanish and English co-production, The Backwoods opens to the strains of Leonard Cohen’s The War, as we follow two vehicles manoeuvring through the Spanish countryside. The occupants of the vehicles are two couples, on a holiday and hunting excursion. On their arrival at a bar, they attract the attention of the Spanish locals, who are unhappy that foreigners are invading their territory. The travellers continue to their rundown house, and the next morning the two men go hunting. Whilst walking in the woods, they discover a young girl – with deformed hands chained in a shack – they take her with them and set in motion a series of tragic events. The Backwoods is a 1970’s set thriller – in the tradition of Straw Dogs, Deliverance and Southern Comfort – where city men who are out of their natural environment are forced to unleash their primal instincts following a brutal attack. Gary Oldman and Paddy Considine (as Paul and Norm) deliver first rate performances, but it is Oldman who is the standout here as the alpha male leading the way. It’s a shame that these days he spends too much time in supporting roles – in large scale films – somebody give him a good meaty lead! Meanwhile Considine plays the wimpier man who changes over the course of the film, it’s a good low key role, but nobody can compete with Oldman when he is at his best. 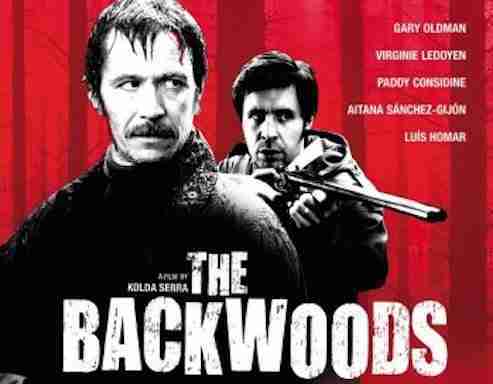 The Backwoods contains some wonderful tension, great Spanish locations and a good score to make you remember that a good film doesn’t have to be number one at the box office or on a critic’s top ten list! I really can’t say enough good things about this film, the performances are first rate, the locations are both eerie and beautiful at once and the film is loaded with tension and thrills.